Sebanyak 6 buah negara telahpun decide untuk putuskan hubungan diplomatik dengan Qatar setakat jam 6 petang 5 Jun 2017. 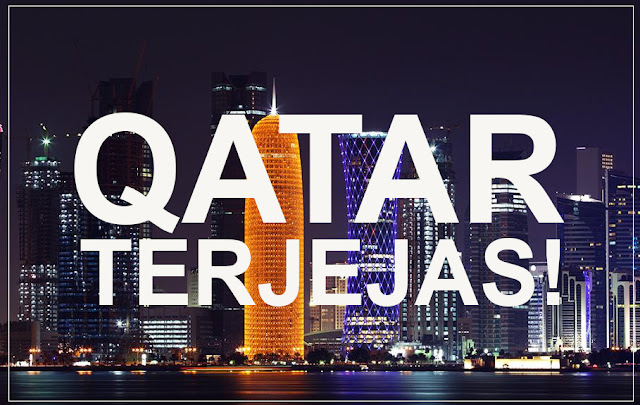 Sebab utama dorang decide untuk putuskan hubungan diplomatik dengan Qatar adalah kerana negara-negara ini merasakan bahawa Qatar menjalinkan hubungan serta merestui apa yang dilakukan oleh pengganas Islamic State (IS) dan jugak Al-Qaeda. 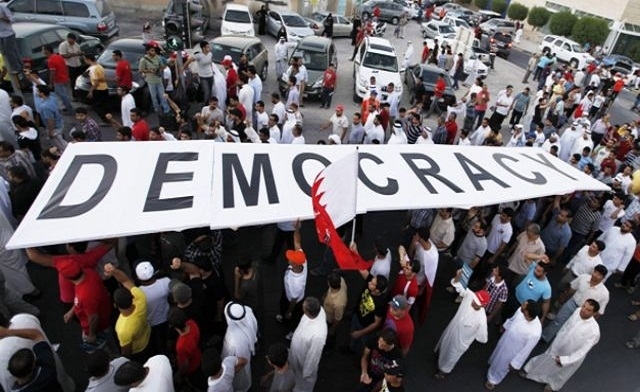 Bahrain mengambil tindakan drastic memutuskan hubungan tersebut pada pagi Isnin dan kemudiannya diikuti oleh Arab Saudi dan kemudiannya diikuti pula oleh beberapa negara jiran lain seperti UAE, Egypt, Yemen dan juga Libya. For info, krisis mengenai Qatar ni telah bermula sejak 2012 lagik. Kalau tak silap ianya tercetus ketika berlakunya Arab Spring - Qatar telah dituduh membantu kerajaan Mesir yang pada masa tu diketuai oleh Mohamad Morsi. Selain negara tersebut memberi kebebasan penuh pada agensi berita Al-Jazeera yang mana agensi berita tersebut dilihat antara penyumbang jatuhnya beberapa negara di Asia Barat - sila google untuk info penuh. So, serentak dengan itu juga UAE, Saudi Arabia dan jugak Bahrain telah keluarkan amaran kepada semua penduduk Qatar di negara tersebut agar keluar dari negara-negara ini dalam tempoh 48jam. i. UAE mengarahkan semua diplomat Qatar agak keluar dari UAE dalam tempoh 48jam. ii. Airlines dari negara-negara terlibat termasuk Etihad Airways dan Emirates telahpun kensel flight ke Qatar. i. Jangan lupa Qatar akan menjadi host World Cup 2022 - sure akan effected! iii. As per info, Doha - Qatar termasuk dalam 10 bandaraya tercantik di Asia. Malaysia setakat ni masih lagi mengambil tindakan berkecuali. Latest New dari Ministry of Foreign Affairs Malaysia - Read here! I think laman web whatson.ae ni banyak membantu mengenai perkembangan terkini issu Qatar - especially berkenaan dengan travel dan penerbangan. – UAE national carrier Etihad Airways has cancelled all flights to and from Qatar effective tomorrow (there is no indication of how permanent a change this is). The last flight from Abu Dhabi to Qatar will be at 2.45am on Tuesday June 6. – Flydubai has released a statement saying it will stop all flights to and from Doha as of Tuesday June 6. – AirArabia has followed suit and has cancelled all flights from Sharjah to Doha, effective Tuesday June 6. – Qatar Airways has announced it will cease all flights to and from Saudi Arabia (no word on the UAE on their travel alerts page yet). The UAE’s official news agency has said that there will be a “closure of UAE airspace and seaports for all Qataris in 24 hours [from Monday morning] and a banning of all Qatari means of transportation, coming to or leaving the UAE, from crossing, entering or leaving the UAE territories.” This suggests Qatar Airways will be banned from flying in and out of the UAE. When trying to book flights to and from Dubai and Qatar on the Qatar Airways website today, it said no flights were available, howeverQatar Airways call centres are telling customers there is no confirmed change to UAE flights yet and if there is they will aim to offer partner airline transfers. 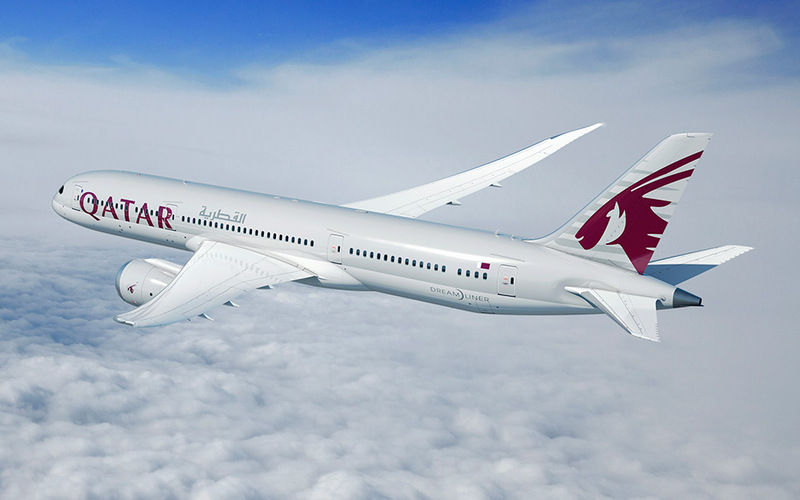 We have contacted Qatar Airways for comment and will update you when we receive a response. Partner airlines include airberlin, American Airlines, British Airways, Cathay Pacific, Finnair, Iberia, Japan Airlines, LAN, Malaysia Airlines, Qantas, Royal Jordanian, S7 Airlines, SriLankan Airlines, TAM Airlines and around 30 affiliates..
– The flight cancellations will impact those who fly to and from the UAE and Qatar regularly for work – remember, however, that Kuwait and Oman are not closing their airspace and so are likely to continue flights to Doha (for now at least). – The link between Doha and Dubai affects many flights, with many in the UAE flying with Qatar Airways to destinations as far afield as London, Auckland and Kuala Lumpur. The closure of UAE and Saudi airspace would mean all Qatar Airways flights will have to take a north route via Iran, no matter their final destination. The Eid holidays are coming up, and that’s a particularly busy travel period in the region. – The UAE is giving Qatari diplomats 48 hours as of Monday morning to leave the UAE – and they’re breaking off all diplomatic relations with the country – which is particularly notable considering it’s part of the GCC. – The UAE’s official news agency also says it’s “preventing Qatari nationals from entering the UAE or crossing its points of entry” and is “giving Qatari residents and visitors in the UAE 14 days to leave the country for precautionary security reasons. The UAE nationals are likewise banned from traveling to or staying in Qatar or transiting through its territories.” Note: This doesn’t currently affect UAE residents, just Emirati citizens. Also, if all flights to and from the UAE and Qatar are suspended as is looking likely, Qataris who leave within the 14 days will likely have to fly to a different location and then home to Qatar. – Remember, Qatar is the world’s largest exporter of Liquified Natural Gas, and the Dolphin pipeline that runs from Qatar to the UAE accounts for around a quarter of the UAE’s daily LNG consumption. – Saudi Arabia, Egypt, the Maldives and Bahrain have also cut diplomatic relations with Qatar, as have the Yemeni and temporary Libyan government, and Saudi has announced it will close its land border with Qatar (there’s still no clarity on how quickly that closure will happen). According to the BBC about 40% of Qatar’s food comes in via this land border. The border with Saudi is Qatar’s only land border – and so the nation will become an island in trade terms. This will likely cause inflation in the country. – Saudi Arabia has directed all Qatari nationals to leave KSA within 14 days, however according to Saudi’s official news agency, pilgrims with plans to go Mecca or Madinah will be exempt. – Qatari troops are being removed from Yemen. – Qatar’s stock market had fallen by 7.6% by lunchtime Monday after the news of severed ties was released, while oil prices rose by 1%. – Here is more from the UAE news agency on why this is all happening now: “The UAE is taking these decisive measures as a result of the Qatari authorities’ failure to abide by the Riyadh Agreement on returning GCC diplomats to Doha and its Complementary Arrangement in 2014, and Qatar’s continued support, funding and hosting of terror groups, primarily Islamic Brotherhood… While regretting the policies taken by the State of Qatar that sow seeds of sedition and discord among the region’s countries, the UAE affirms its full respect and appreciation for the brotherly Qatari people on account of the profound historical, religious and fraternal ties and kin relations binding UAE and Qatari peoples.” Qatar has said the claims have “reached the level of complete fabrications”.